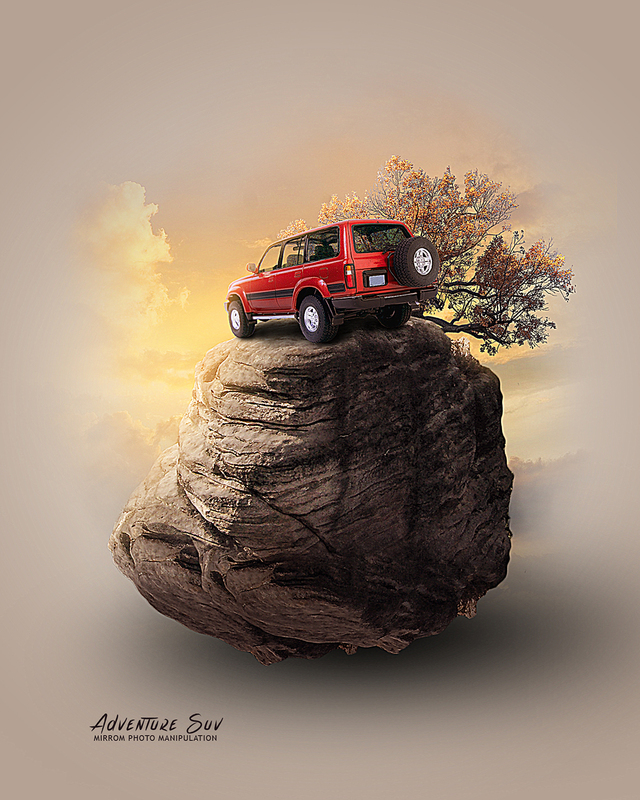 Today we will have fun making photo manipulation of Suv's adventure in Photoshop. Using easy photo manipulation, masking techniques, adjustment layers, custom brushes, quick selection tools and filter effects. I hope you like it and thanks for watching!